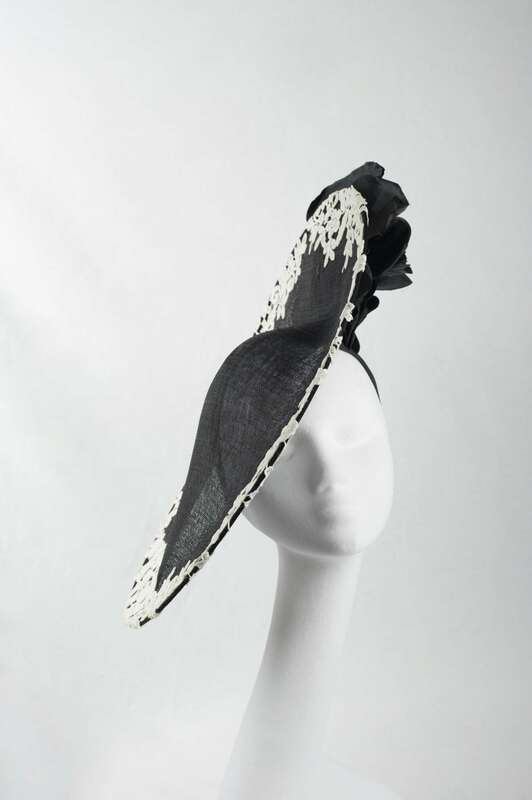 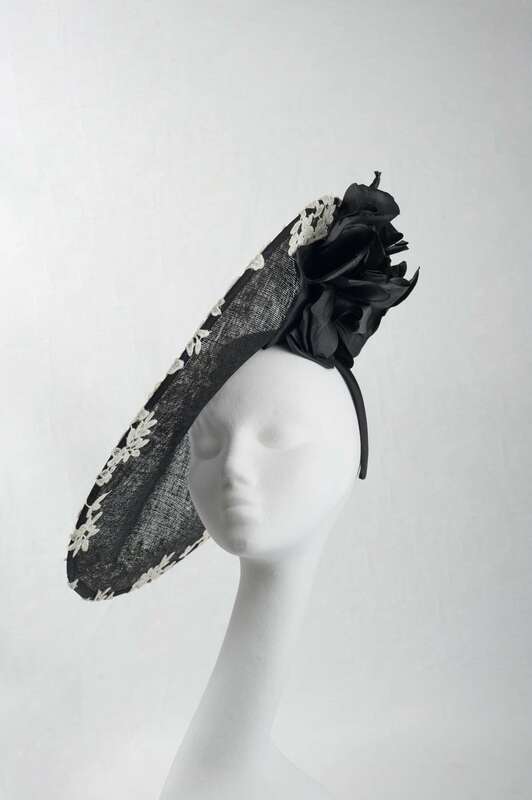 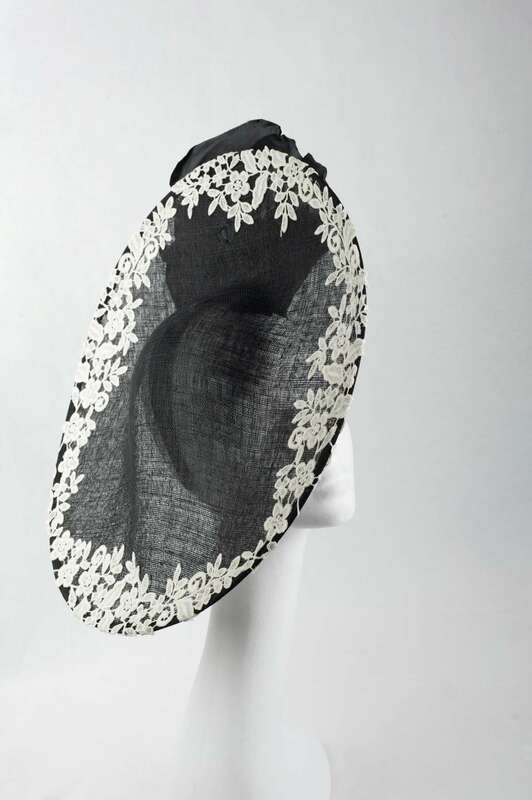 Make a statement with this large disc black with white lace hat. 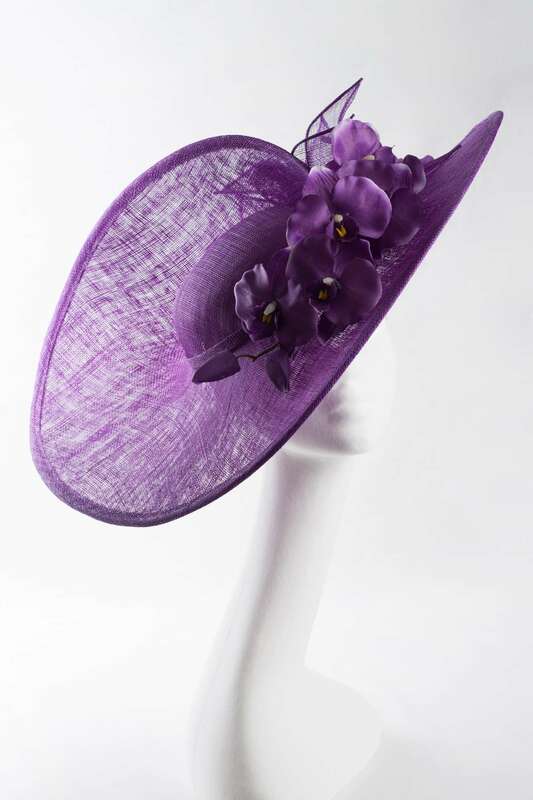 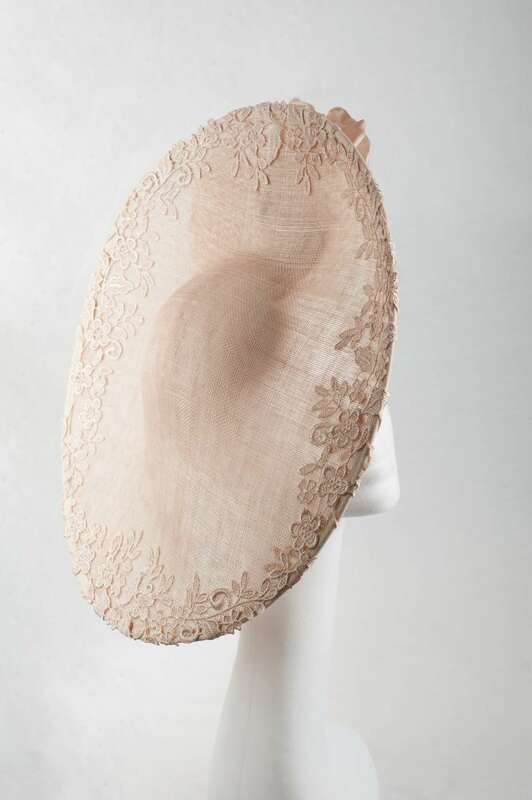 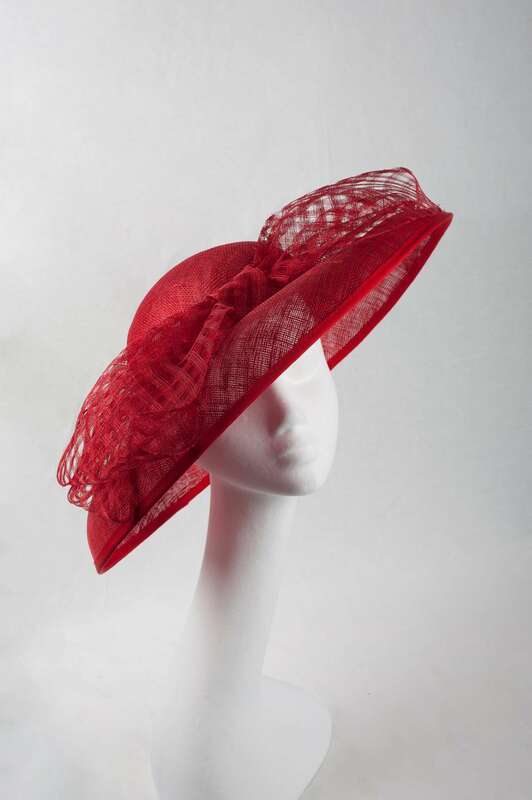 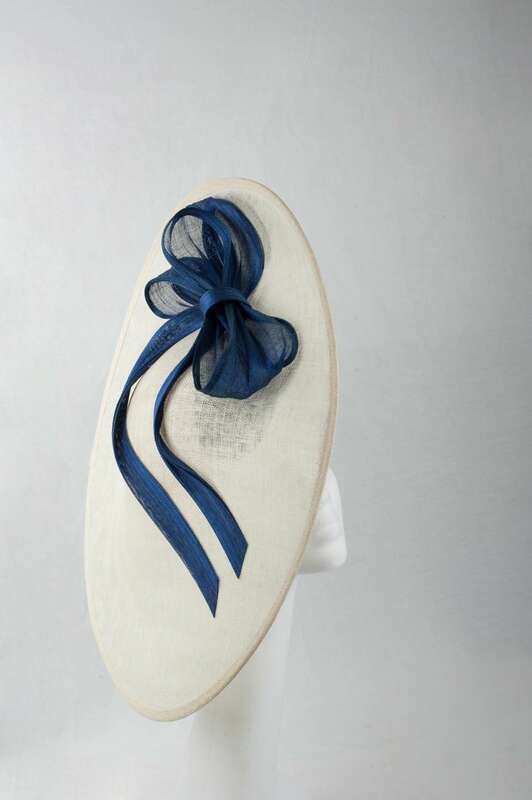 Perfect for weddings, and special occasions, this headpiece is the ideal outfit finisher. 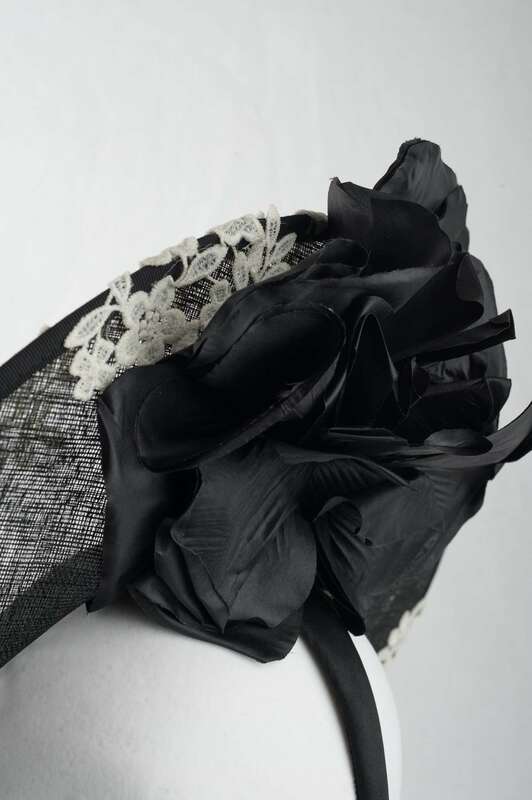 This large under brim hat is fixed upon a headband to maintain its slanted style, with a large flower sitting beneath.